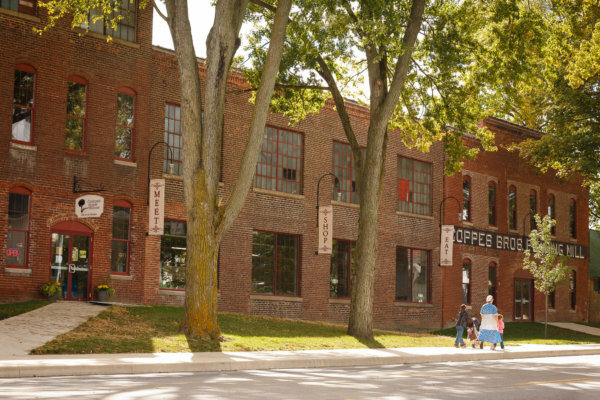 Whether you’re planning a road trip through Northern Indiana’s Amish Country, stopping in town for an RV tune-up, or just visiting from a neighboring town, Coppes Commons is easy to find! In fact, we’re not far from other Indiana Attractions in Shipshewana, Elkhart and South Bend! Look for us on US 6 (Market Street) just four blocks east of the main intersection of State Road 19 (Main St.) in downtown Nappanee. Market Street View of Coppes Commons. Use the Google Map below to get directions and plan your trip! You might also find the City of Nappanee website helpful: www.nappanee.org. Get recommendations for fun things to do, sights to see, places to stay, a calendar of events, and much more! More suggestions for itineraries and travel help for the area can be found on the Elkhart County Convention and Visitor’s Bureau website at www.amishcountry.org or the Kosciusko County Visitor’s Bureau at visitkosciuskocounty.org (Nappanee is in two counties!). Happy Travels! Questions? Visit our “Contact” page for help.